People who were longing to use Paytm but could not do so as they did not know how to use the internet, can now use it with the help of the Paytm tap card. This card has been developed in line with the company’s vision to provide seamless payment solutions for one and all. 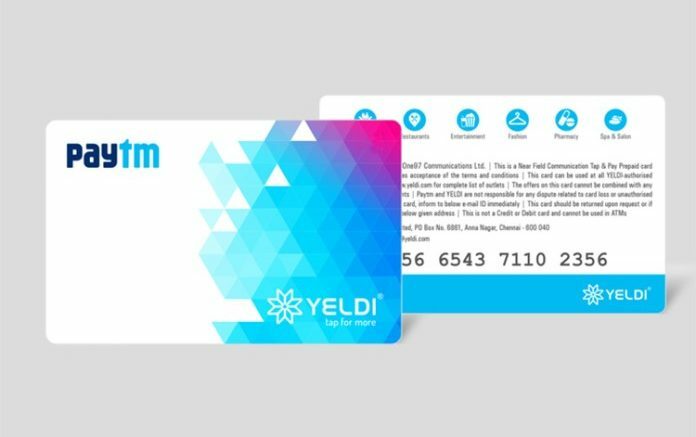 The card is going to use the NFC (Near Field Communication) technology that will enable the company to have safe and secure digital transactions. With the help of the card, the users can make transactions offline on all the Paytm issued NFC Pos terminals within a second. It is an Endeavour to ease out payment where the network is an issue. The company is collaborating with events, educational institutes and corporate to run its first phase to enable quick digital payments. By tapping the card once, the payment will be done easily. Since the inception Paytm is pushing its boundaries and encouraging people to go for digital payments instead of hard cash and the company is always providing unique payment solutions to its customers. The application is very easy to use and today it is been used by a number of Indians. The company has provided the ease to even make a transaction of Rs. 10 with the help of the application. The Paytm tap card is yet advancement and we look forward to dealing with it. Be the first to comment on "Paytm Launches Card, Enabling Users To Use It Offline"